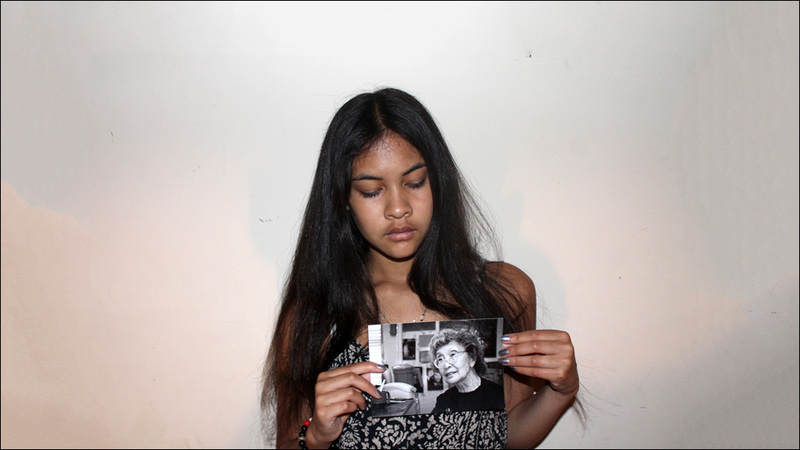 Legacy Kid: Kai Williams carries the weight of her great-grandmother and civil rights activist Yuri Kochiyama's legacy in the midst of the Black Lives Matter student protests. I'm Not Here for the Asian Americans Who Won't Get Behind #BlackLivesMatter: "Do we choose a society where the lives of Black and Brown people -- including Black and Brown Asian Americans -- has value? Or, do we continue to uphold a system that places no value in the lives of non-White people, including our own; and wherein only some can place their trust in our law enforcement?" Open letter to Chinese American moms #blacklivesmatter: "It is time for Chinese American mothers to take charge of our destiny and protect our families. We possess too much power and personal vision to sit this one out." We Were All Trini: Searching for Asian American Mirrors in SF/F: "I am part of multiple badass Asian Girl Gangs and when I look at their beautiful, fierce faces, I finally see mine reflected back at me." The Subversive New Generation of Asian American Writers: Writers Jenny Zhang and Tansi Nandini Islam talk to The Vice Reader about families, politics, and the cringes that come when your story is workshopped by a room of white writers. Yes, Mr. Takei, Sulu is Gay and Here's Why You Should Be Embracing That: YOMYOMF respectfully disagrees with George Takei's opinion that Sulu should not be gay in Star Trek Beyond. How the Academy's New Class Impacts Asian Representation in Hollywood: Two producers weigh in on recent Oscar events, new AMPAS members, and the future of diversity and inclusion in Hollywood. How one man repopulated a rare butterfly species in his backyard: Tim Wong is an aquatic biologist at the California Academy of Sciences. But in his spare time, he's dedicated himself to repopulating the California pipevine swallowtail butterfly -- in his own backyard. Nets' Jeremy Lin 'not shying away' from role as starting PG, leader: Jeremy Lin says he signed a three-year, $36 million contract with the Brooklyn Nets in free agency because he was given an opportunity that has been rare during his six-year NBA career: to quarterback a team as the starting point guard. 'The Night Of' Star Riz Ahmed: 'It's Very Uncompromising in Its Authenticity': While HBO's haunting, compelling new series The Night Of is very much an ensemble, its emotional punch hinges on the performance of Riz Ahmed, who plays Nasir Khan, the doe-eyed college student who becomes the murder suspect at the center of the mystery.